Supermarket, Aldi, has been standing out of the retail crowd for being one of the cheapest sources of high quality food and other groceries items. It also carries its own brands, which all promise great value for very little money. One of the founders, Karl Albrecht was once considered the wealthiest tycoon in Germany. The Albrecht family only began with a tiny provincial store in 1946, which was inherited by brothers, Karl and Theo and turned into Aldi in 1962. As an employer, Aldi boasts of competitive wages, very considerate vacation time, seven paid holidays, comprehensive health insurance coverage and disability benefits. It provides its employees a 401 (k) plan with a matching contribution from the company. Simplicity, consistency and responsibility are the guiding principles of this establishment, values that are mirrored by its employees. Aldi offers plenty of opportunities for learning and growth thanks to its emphasis on efficiency and aggressive expansion. Candidates must be 18 years old or older to apply for a position. The good news is there many entry level positions for the young that do not require prior experience. The company is in the hunt for highly motivated applicants who believe in what the company stands for: that high quality need not come at a high price. Store Associate: This role requires extensive knowledge on how the store operates from day to day. As a front liner, the Store Staff acts as a cashier, a stocker, a merchandising staff and a customer service representative. 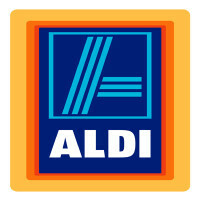 Aldi believes that the competence, commitment and warmth of its store staff is central to the brand’s success. Manager Trainee: Manager Trainees are groomed to eventually oversee the operations of a single store. They are expected to learn everything about the business process, about safeguarding the company bottom-line through their supervision, and about leading the store staff through coaching and talent development. Store Manager: Store Managers are responsible for how an entire store performs from merchandising, to storage, to upkeep, and to human resource management. They generate both operational and financial reports for the review of higher management. More importantly, the leadership of the Store Manager sets the atmosphere of customer service centricity and guarantees quality control. Warehouse Associate: Warehouse Associates assist in stocks management within the warehouse and in the release of the items from the warehouse to the store. This role is crucial in the efficient movement of products from suppliers to storage to retail outlets. Warehouse Mechanic: Warehouse mechanics maintain all the equipment utilized within the controlled facility. They are involved in temperature control, in the retrieval and transfer of goods, and in the overall upkeep and safety of the warehouse. They are internally trained to be adept at mechanics, ammonia refrigeration and electrical safety. District Manager: District managers oversee the operations of as many as five stores in a given district. They are expected to manage store level leaders, be adept at conflict resolution, and be able to make sound decisions on issues that have a greater impact on business success. Corporate Buying Quality Assurance Specialist: In support of the Corporate Buying team, corporate Buying quality assurance specialists make sure that suppliers and their products are compliant with company and government standards on packaging, labeling and quality. Quality Assurance Specialists pay attention to details to avoid customer complaints and other product issues. Shift Manager: Shift Managers take responsibility for the performance of the store associates within their shift. Good communication and interpersonal skills are invaluable to this role. Shift Managers also see that standard processes are followed in relation to storage, sales, merchandising, facility upkeep, payments, customer service and reporting. Corporate Buying Administration Assistant. Corporate Buying Administration Assistants stay on top of the documentary requirements of the Buying Team. They receive and check invoices for accuracy and maintain related records. They also help complete presentations and are in charge of digital and paper filing. Corporate Buying Administration Assistants also work in close liaison with other functions so a collaborative attitude is required. Real Estate Assistant: Real Estate Assistants see to the needs of the Real Estate Director, which may include preparing invoices and writing correspondence. They also help organize large amounts of data and are custodians of the group’s documents and files. Candidates for this role are expected to be proficient in MS office products including Excel and PowerPoint. The company prefers to meet aspirants in person through scheduled hiring events. The details regarding the time and place can be found in the careers page of their website. Through the website, interested applicants can also find the application form, learn more about the roles, and sign up for notifications on job openings. For management positions, only online applications are accepted, which the job listing will also indicate. The company website is a good source of information on what is specifically required. For example, store employees must be able to lift 45 pounds. These requirements must be kept in mind when filling out the forms. The recruitment team expects to receive professionally written CVs complete with information on level of education, work experience and basic personal information. A high school diploma or an equivalent is required. Work ethic, empathy, resourcefulness and communication skills are key ingredients for exceptional customer service. These are the qualities that must shine through during the interview or hiring event. Aldi is all about efficiency through simplicity, and value through quality control. The workplace is run in the same “no-frills” “no-fuss” spirit. Expectations within are high but this is balanced with a strong culture of mentorship. Thanks to its innovative business model, the business consistently rakes in beyond-target revenues and tops customer loyalty polls. By the close of 2017, it was awarded 200 recognitions by consumer groups mostly for best new products. The supermarket, which can save shoppers as much as 50% on regular groceries, is an industry leader in streamlining. Customers bag their own groceries. Only fast-moving items of carefully selected brands are stocked. Even staffing is kept to a minimum. The company boasts of an Aldi Smart Kids Program, which provides incentives and support so that children can stay educated, healthy, and happy. It’s conducted locally so applicants are enjoined to visit the outlet closest to their homes. 1 How old do you have to be to work at Aldi?